Parker, Stephanie M, and A. D Huryn. “Disturbance And Productivity As Codeterminants Of Stream Food Web Complexity In The Arctic”. Limnology And Oceanography 58. Limnology And Oceanography (2013): 2158-2170. doi:10.4319/lo.2013.58.6.2158. Rocha, Adrian V. “Ecosystem Resilience And Climate Feedbacks In An Arctic With Fire (Invited Speaker)”. Grand Valley State University. Grand Valley State University. Allendale, MI, 2013. Gough, Laura. 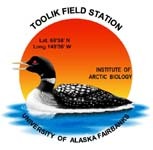 “Effects Of Global Change On Arctic Plants And Our Native Prairies (Invited Speaker)”. Native Plant Society Of Texas, Dallas Chapter. Native Plant Society Of Texas, Dallas Chapter. Dallas, TX, 2013. Euskirchen, E. S, and M. Sommerkorn. Feedbacks To Ecosystems And Climate. The Arctic Biodiversity Assessment. The Arctic Biodiversity Assessment. Akureyri, Iceland: Arctic Council - Department of Conservation of Arctic Flora and Fauna, 2013. http://hdl.handle.net/11374/223. Genet, H., Steven F Oberbauer, S. J Colby, C. L Staudhammer, and G. Starr. “Growth Responses Of Sphagnum Hollows To A Growing Season Lengthening Manipulation In Alaskan Arctic Tundra”. Polar Biology 36, no. 1. Polar Biology (2013): 41-50. doi:10.1007/s00300-012-1236-x. Beresford, G. W, G. N Selby, and John C Moore. “Lethal And Sub-Lethal Effects Of Uv-B Radiation Exposure On The Collembolan Folsomia Candida (Willem) In The Laboratory”. Pedobiologia 56, no. 2. Pedobiologia (2013): 89-95. doi:10.1016/j.pedobi.2012.12.001. Oberbauer, Steven F, Sarah C Elmendorf, Tiffany Troxler, Robert D Hollister, Adrian V Rocha, Syndonia M Bret-Harte, A. M Fosaa, et al.. “Phenological Responses Of Tundra Plants To Background Climate Warming Tested Using The International Tundra Experiment”. Philosophical Transactions Of Royal Society: Biology 368, no. 1624. Philosophical Transactions Of Royal Society: Biology (2013): 2012481. doi:10.1098/rstb.2012.0481. Vierling, L. A, T. S Magney, Heather Greaves, and J. UH Eitel. “Reflecting On Alaska: Advanced Remote Sensing Approaches To Understand Tundra Vegetation Change (Invited Speaker)”. Columbia University, New York, NY, 2013.